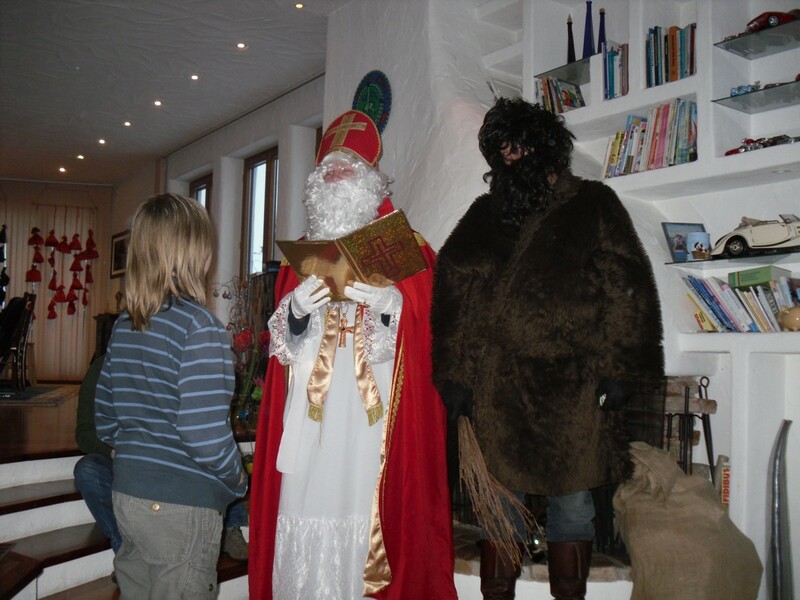 Every year on December 6th in Bavaria, Austria, Hungary, Slovenia and Croatia Saint Nicholas accompanied by his counterpart Krampus come to most people's houses. Saint Nicholaus has a golden book, written by the angels who watch over us and in that book it says how good of a person everybody was. He normally complements each individual person on a couple of things and reminds everyone to do better at something else. Krampus is generally represented as a hairy beast-like creature wearing brown or black and has the cloven hooves and horns of a goat. The nice and well-behaved children get small gifts from Saint Nicholaus. Traditional gifts are chocolate, walnuts and oranges and the gifts are all in a big cotton bag carried by Krampus. For the naughty children Krampus steps in and he is said to capture them in his cotton sack and carry them away. 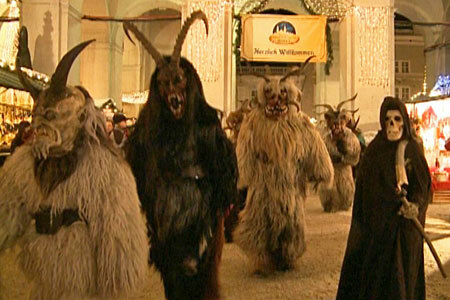 Another tradition with the Krampus is the “Perchtenlauf” where multiple Krampus run together through the streets. Thousands of spectators come to watch the event and many streets are closed during that time. Originally, the Perchtenlauf comes from a pre-Christian Germanic tradition and it was held somewhere between the end of December and the middle of January. The Perchten normally cary big bells, that are beliefed to ward off the winter. We hope you enjoied reading today's blog and that the Krampus didn't take any of your children. and like us, to win a free 5 day tour!